TIME THIEF (AUS) (2005). 2 wins to 1200m, MRC Zeditave S., L. Sire of 205 rnrs, 123 wnrs, inc. SW In Her Time (ATC Galaxy H., Gr.1), Volkoff, In Good Time, Happy Cash, Rom Baro - Kingsfield (H.K. ), Temps Voleur, SP Tumbler, Working From Home, Sudden Wealth, Copy Watch - High Five (H.K.) and of Adoradancer, Lady le Jean, Masquerade, Memes, Hot Goods, East Afrika, Solaris Spectrum, Debt Collector, Ooshe, Showus Ya Diamonds, etc. Nieta (f. by Nicconi). 6 wins at 1000m, 1100m, A$336,200, ATC Geohex H., Ranvet H., TAB Rewards H.-twice, 2d ATC Starlight S., L, 3d ATC Shorts H., Gr.2, NSW Tatt's RC Concorde S., Gr.3, MRC Alinghi S., L, SCTC Lightning H., L, 4th VRC Skip Sprint, Gr.3, ATC Star Kingdom H., Gr.3, Scone RC Ortensia S., L.
Tumbler (f. by Time Thief). 7 wins. See below. Showus Ya Diamonds (f. by Time Thief). 3 wins to 1200m in 2017-18, BRC Meat Addiction P.
Recife Beach (g. by Sharkbite). 4 wins-1 at 2-from 1100m to 1600m, A$103,630 in Aust. El Nieto (g. by Nicconi). Winner at 1200m in 2018-19 in Aust. SINCERO (Umatilla). 12 wins-2 at 2-from 1100m to 1600m, A$1,736,475, ATC George Main S., Gr.1, BRC Stradbroke H., Gr.1, MRC Memsie S., Gr.2, NSW Tatt's RC Tramway H., Gr.3, Gosford Guineas, L, Scone RC Inglis Guineas, AJC Sydney City Toyota H., Royalrandwick.com H., Coogee Dolphins H., 3d MRC Caulfield S., Gr.1, 4th ATC Doncaster H., Gr.1, Canterbury S., Gr.2. Kepta. 2 wins at 1000m, 1200m to 2018-19, 2d TRC Unique Doors and Windows H., Hobart Cup Day 10/2 H., Living Magazine H., Taskeno Xtra H., TTC Ray Trinder Memorial H., Cuccina H., 3d TRC Women in Tourism & Hospitality H.
Copperhead Road. Winner at 1000m in 2017-18, 3d TRC Glenorchy Rotary H., TTC Trevallyn Newsagency P.
Brookton Ice. 3 wins from 1200m to 1650m, 3d Ipswich TC Schweppes H.
It's Cryin' Time (Opera Prince). 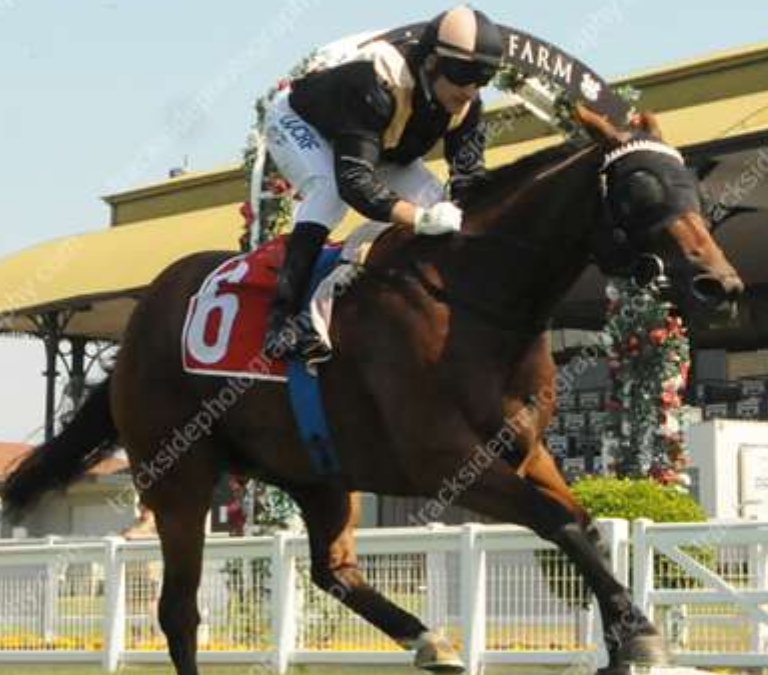 2 wins at 1400m, 1600m, WATC Raymond Wheil Parsefal H., Jollair H., 3d WATC Dayana S., L, Snack on Health Quality H., Leake H.
7 wins to 1200m, A$230,925, BRC Ascot Green Carnival H., James Boag's Premium P., SCTC Poolpro.com.au H., Ipswich TC Farewell Stan Patch P., River FM 94.9 H., 2d Qld Tatt's RC WJ Healy S., Gr.3, SCTC Lightning H., L, Qld Tatt's RC Triple M's Rich Uncle Mal H., BRC Qld Racing Integrity Commission H.